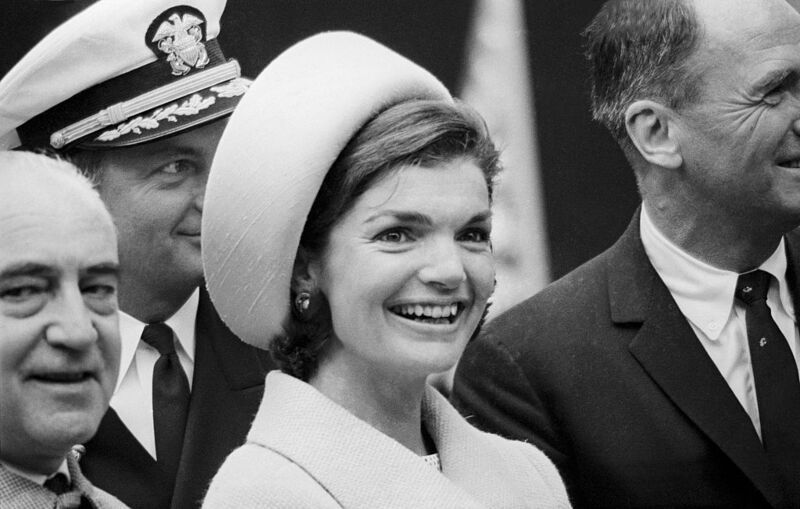 Jacqueline Bouvier Kennedy Onassis may have passed away nearly thirty years ago, but she still captivates the masses. From her signature style to the string of heartbreaking events she endured, there’s no one quite like Jackie O. Join us as we take a look at the highs and lows of the fashionable former First Lady. She gathered the strength to carry on after her husband’s assassination, but how she repaid her sister for making a huge sacrifice on her behalf might surprise you. 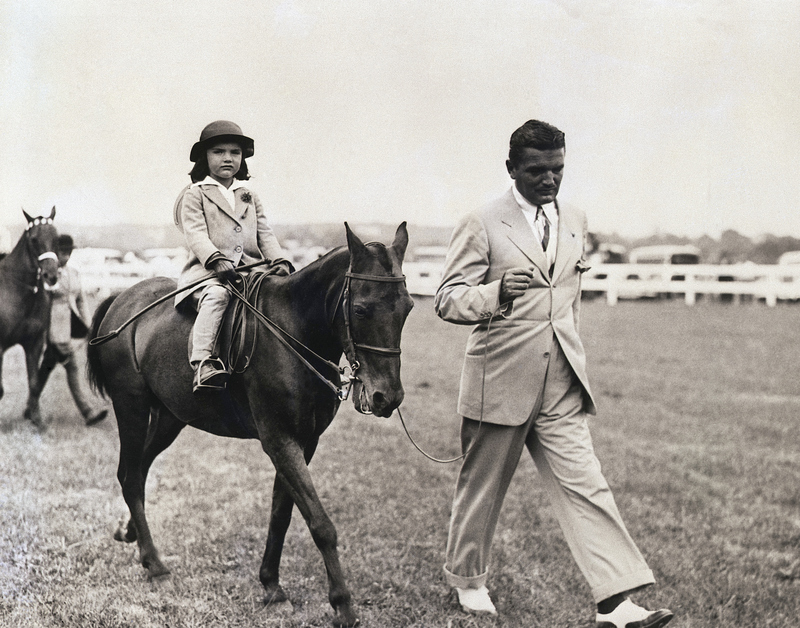 Jackie Bouvier spent her early years in Manhattan, but her family also owned property in East Hampton. Long, lazy summer days were often spent on the Long Island estate, playing with her father, John. Jackie had a special bond with her father, who also admitted she was his favorite out of his two daughters. He would tell friends and family that his eldest was “the most beautiful daughter a man ever had.” The youngest Bouvier sibling wasn’t dejected by her father’s feelings, later saying that she got her “independence and individuality” because of it. Jackie however, blossomed under her dad’s wing. It’s hard to imagine Jackie Kennedy as anything other than the epitome of grace and sophistication, but her time at Chapin School almost saw her go off the rails. Although she was accomplished in nearly all of her subjects, Jackie found the environment boring. Her ability to finish assignments quicker than her peers often saw her acting out, with one teacher describing her as "a darling child, the prettiest little girl, very clever, very artistic, and full of the devil." After the headmistress warned the youngster that her behavior could be her undoing, Jackie settled down somewhat and stopped getting into mischief. Jackie’s family was a prominent one in New York society, so when her parents divorced in 1936, it was all over the newspapers. 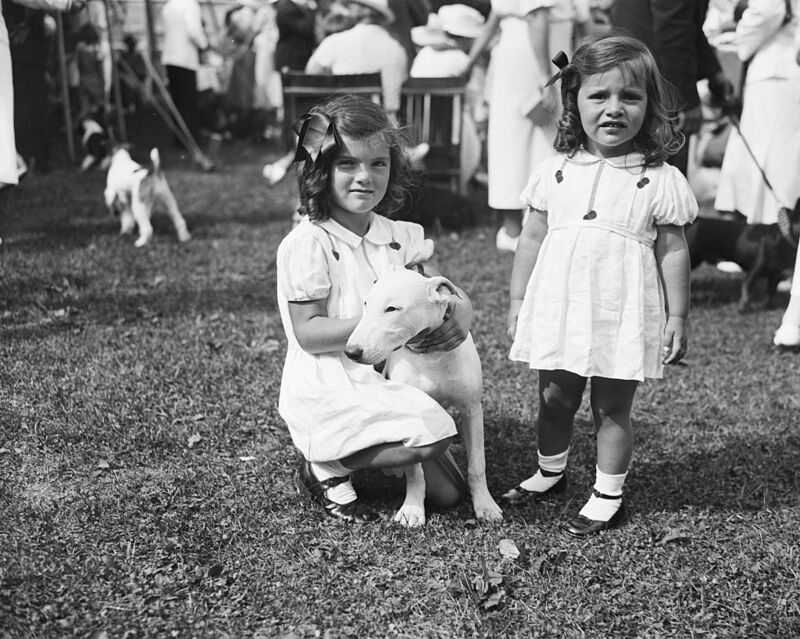 The six-year-old was frequently mentioned in the tabloids, which fixated on her father’s alcoholism, affairs, and the state of their finances which took a big hit after the 1929 Wall Street Crash. Jackie, an innocent bystander in the breakdown of the relationship, could never have predicted it would be just one in many times that she would see her name splashed across the gossip papers. Devastated by the separation, Jackie withdrew into herself for some time. Her mother would go on to marry Standard Oil heir Hugh Dudley. Jackie (center left) was given the best education money could buy, thanks to her mother’s remarriage. After finishing at Chapin, she moved on to Miss Porter’s School in Farmington, Connecticut. Popular among her class, her senior yearbook commended her for "her wit, her accomplishment as a horsewoman, and her unwillingness to become a housewife." She graduated near the top of her class and received the coveted Maria McKinney Memorial Award for Excellence in Literature. 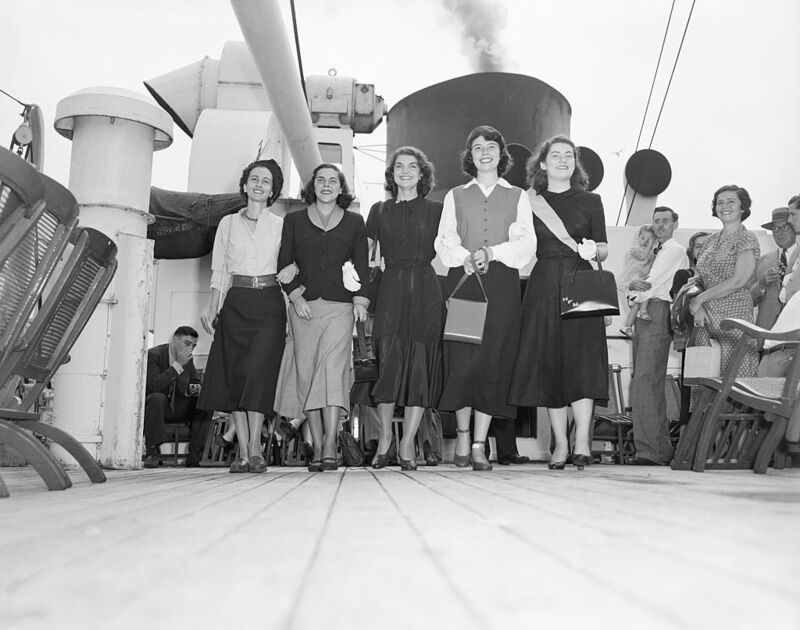 Her school friends remained close, with Nancy Tuckerman landing the role of Social Secretary in the White House when Jackie became the First Lady. You know what they say, it’s all about who you know! Like many young women at the time, Jackie idolized Vogue magazine. While studying at George Washington University in Washington, D.C, she was lucky enough to win a twelve-month junior editorship at the publication, beating hundreds of women. It could’ve been the stepping stone to an entirely different life for the young Miss Bouvier, but it only lasted for a single day. During a briefing, the managing editor told Jackie to quiet and go back to Washington to find herself a husband. At 22, Jackie was deemed too old to be without a marriage prospect. Taking the advice to heart, she quit and went back to Washington. While Jackie was working at the Washington Times-Herald after leaving Vogue, she began dating the young and handsome stockbroker John Husted. She had known Husted for quite some time, having attended the same school as his sisters, but things didn’t take a romantic turn until 1951. It seemed like the perfect match. Less than three months after they had begun courting, the couple announced their engagement in The New York Times. Plans for a June wedding were in full swing when Jackie started to feel differently toward her beau. Her mother also expressed concern that Husted wasn’t rich enough to support her daughter (despite his impressive salary). The engagement was broken off three months before the ceremony. Jackie met the future president when she was already engaged to Husted. They both traveled in the same circles and were eventually introduced at a dinner party in 1952. When her relationship with Husted ended, Jackie began dating Kennedy. The new couple had many things in common, from their Catholicism to their taste in literature. 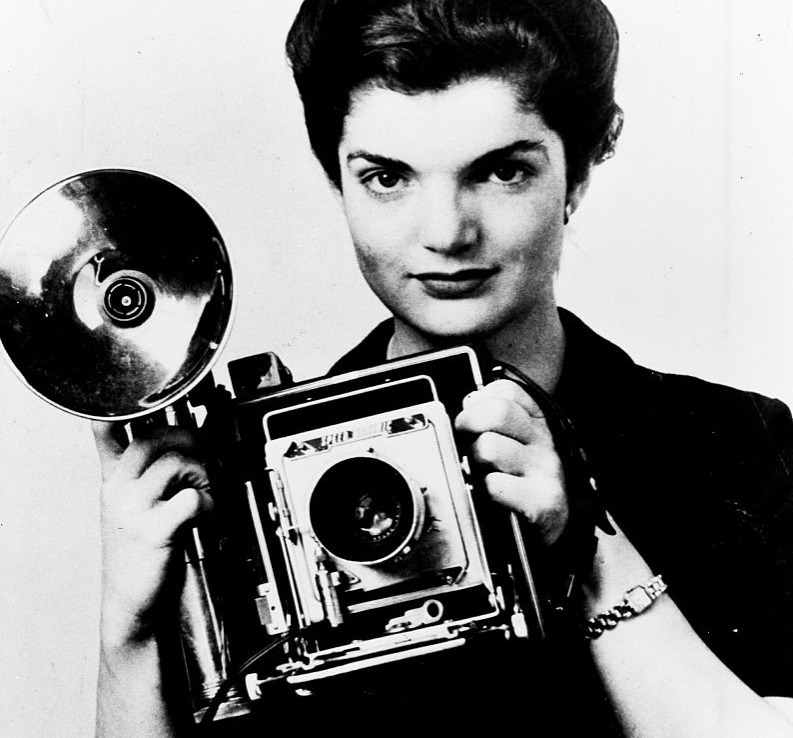 However, Jackie was torn between her blossoming journalism career (she had just been asked to cover Queen Elizabeth II’s coronation in England) and Kennedy’s proposal. Not wanting to miss the opportunity, she asked John to wait and spent a month in London. Upon her return, she accepted and resigned. We all know how Jackie’s first marriage tragically ended, but it almost ended some years prior to John’s assassination in 1954. The young senator suffered from Addison’s Disease, which caused him terrible back pain. In a bid to ease his suffering, Kennedy underwent a very risky spinal operation. He almost died on the table, but rallied. Jackie spent a lot of time looking after her sick husband as he recovered, which he did thanks to her care and guidance. Kennedy would never be quite free from his ailments, but the procedure was deemed a success that improved his quality of life. 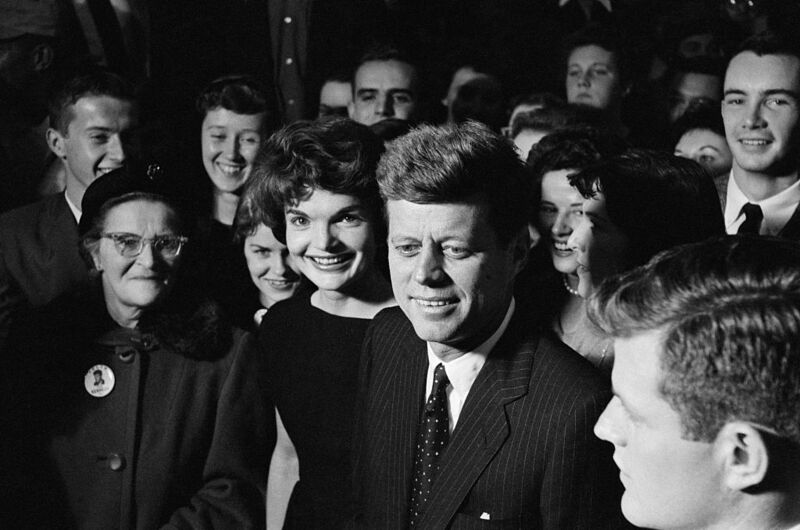 Not long after Jackie gave birth to their second daughter (their first child Arabella was stillborn) in 1957, they were back on the campaign trail. John’s aides had started to notice that voters liked the senator’s pretty, amiable wife. In fact, when she joined him for appearances, the crowds doubled. At first, Jackie was shy and felt uneasy around the huge scores of people at rallies, but John knew that his wife was his biggest election promise. When he secured a second term, he put it largely down to Jackie, calling her “simply invaluable.” Jackie had a big part to play in the styling of her husband, too, advising him on his wardrobe. 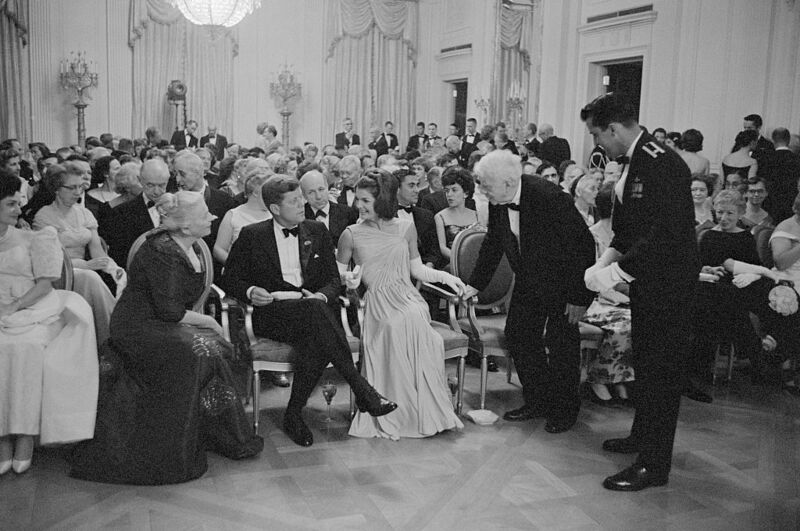 Without her influence, Kennedy may have never become president. When John was elected to the White House, Jackie made it clear to the media that she wanted to focus solely on her children and her husband. However, she spent a great deal of time restoring the White House and preserving American art. She was the hostess with the mostess, throwing several grand events that brought pivotal figures from the arts and politics world together. Alongside her family, this was Jackie’s greatest passion. Out of all the women in her position, Mrs. Kennedy arguably left the greatest mark on the White House and remains a tough act to follow. Suffering the loss of a daughter had a profound effect on Jackie and her husband, but they were blessed with two more children afterward. When Mrs. Kennedy became pregnant once more, she became the victim of circumstance again. The couple’s second son, Patrick Bouvier Kennedy, was born five weeks early via emergency C-section. Sadly, his lungs weren’t developed properly and he passed away two days later with his father at his side. Jackie lapsed into a depression, taking some time out on her friend’s yacht to recuperate from the loss. The sadness brought the Kennedys closer, reaffirming their relationship. 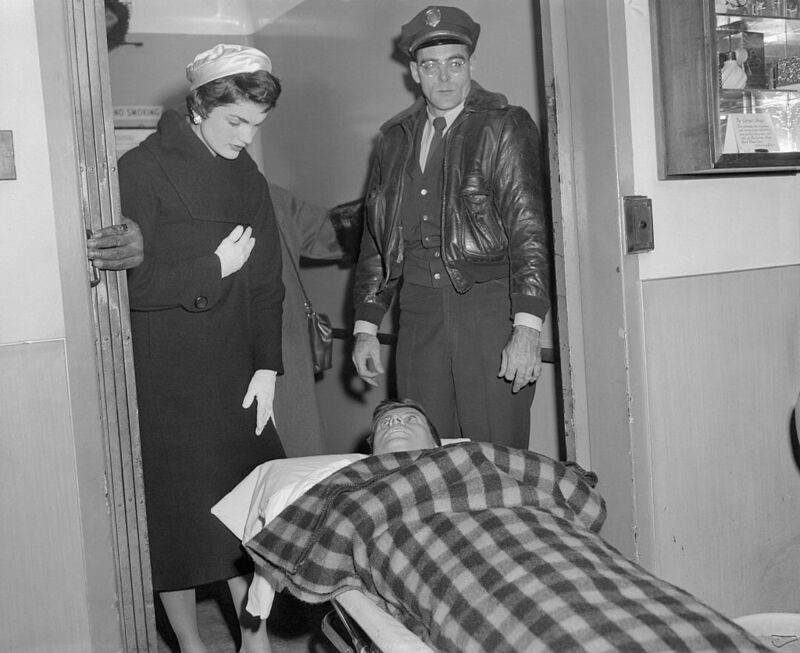 On that fateful day on November 22, 1963, Jackie would be subjected to tragedy once more. Her husband was assassinated while she sat beside him in the presidential limousine in Dallas, Texas. 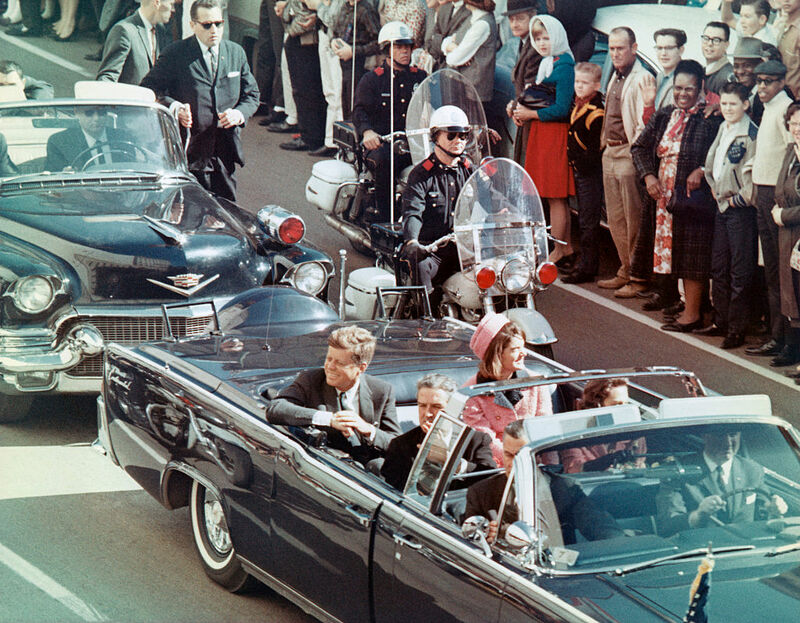 Photographs of the incident saw Jackie Kennedy apparently scrambling to escape the car by climbing over the trunk, but Secret Service agent Clint Hill disputed this. He immediately ran to the car after hearing the shots, later stating that he believed the First Lady was trying to get a piece of her husband’s skull that had been blown off onto the back of the car. Jackie would say that she couldn’t remember climbing at all. Jackie had always been close to John’s brother Bobby, but when her husband was killed they became even closer. By 1968, Bobby was getting ready to run for president, but he had his reservations. Jackie was instrumental in persuading her brother-in-law to take the plunge. 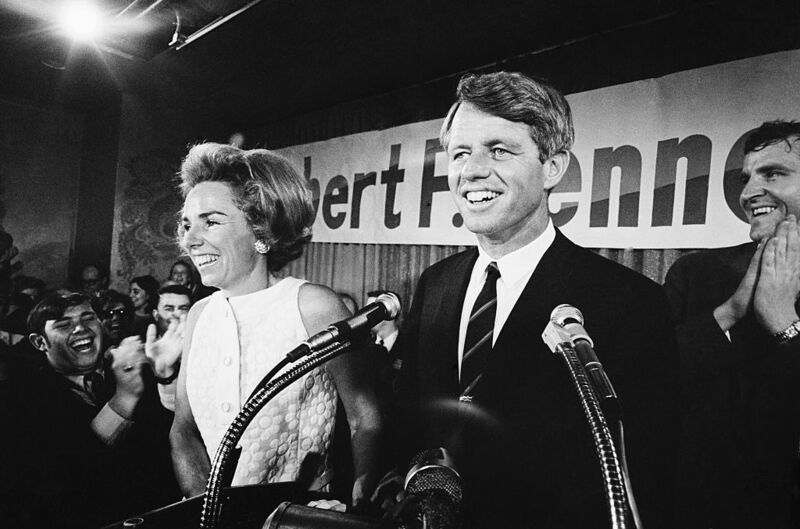 So much so that when a reporter asked him if he was going to enter the presidential race, he said, "That depends on what Jackie wants me to do." Secretly, she had expressed concerns for his safety after her husband’s fate, but openly she campaigned for him. Sadly, Jackie’s worst fears were realized when Bobby was shot after winning the California Democratic presidential primary. By 1968, Jackie had come to fear America. She felt as though she wasn’t safe there, saying, “If they’re killing Kennedys, then my children are targets. 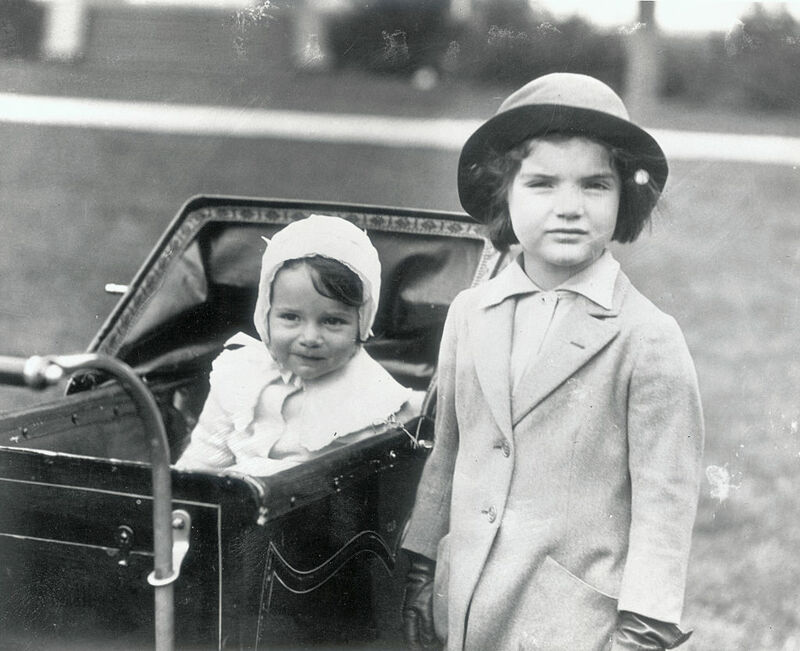 I want out of this country.” Motherly instinct took over, and Jackie married her longtime friend Aristotle Onassis. She knew that Onassis loved her, and his considerable wealth meant her family would be provided for. 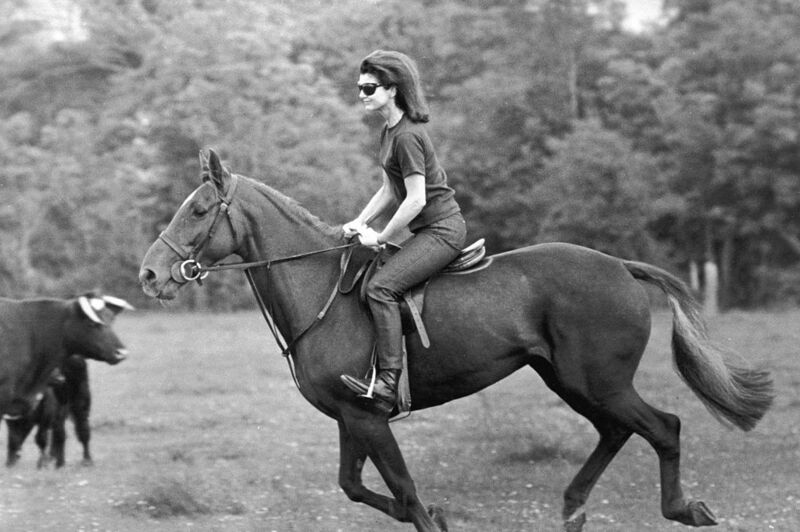 Jackie Kennedy became Jackie Onassis. After her marriage to the shipping magnate, the American government severed its ties with her, withdrawing the Secret Service protection she had been entitled to. She kept her Fifth Avenue apartment and her farm in New Jersey, but split the rest of her time in Greece and Paris. 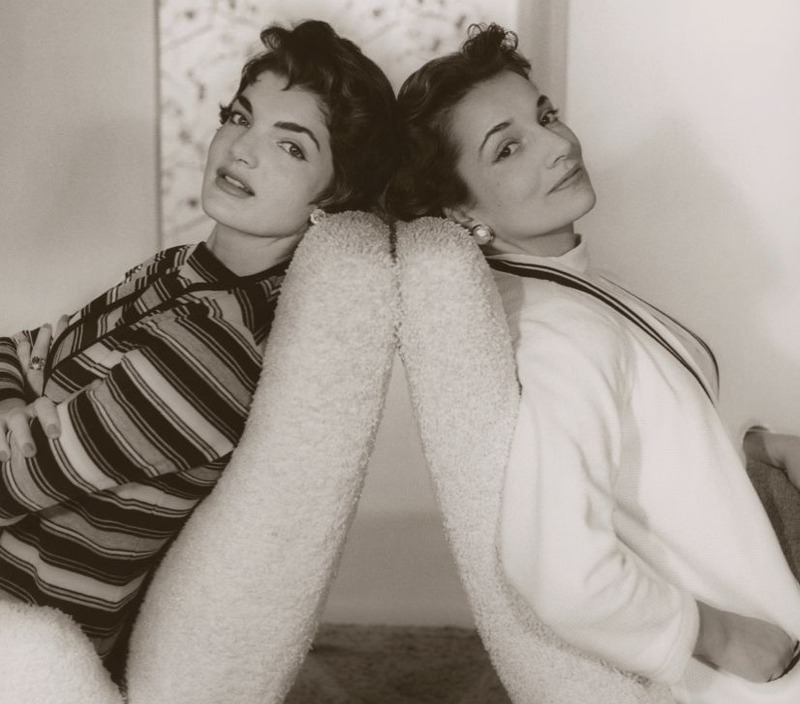 Jackie and her sister Lee had a complex relationship, according to biographers. While they loved one another, they found it difficult to simply sit and talk. Things were made more complicated when Lee introduced her sister to her lover, Aristotle Onassis. After Jackie’s second husband died of respiratory failure in 1975, Jackie found herself at another loose end. Feeling like enough time had passed, she returned to America permanently, taking a position as consulting editor at Viking Press. After a scandal involving a Jeffrey Archer novel caused her to resign, Jackie worked with Doubleday on several prominent publications. 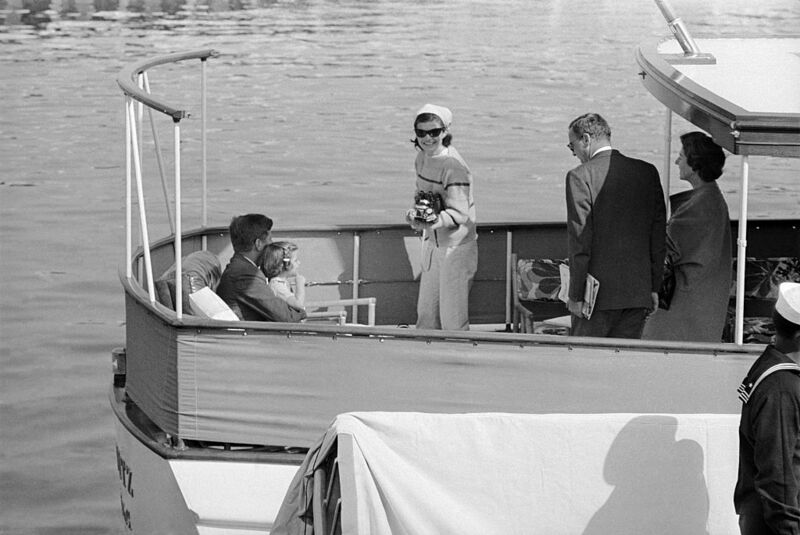 The press maintained their fascination with the former First Lady, now dubbed Jackie O. 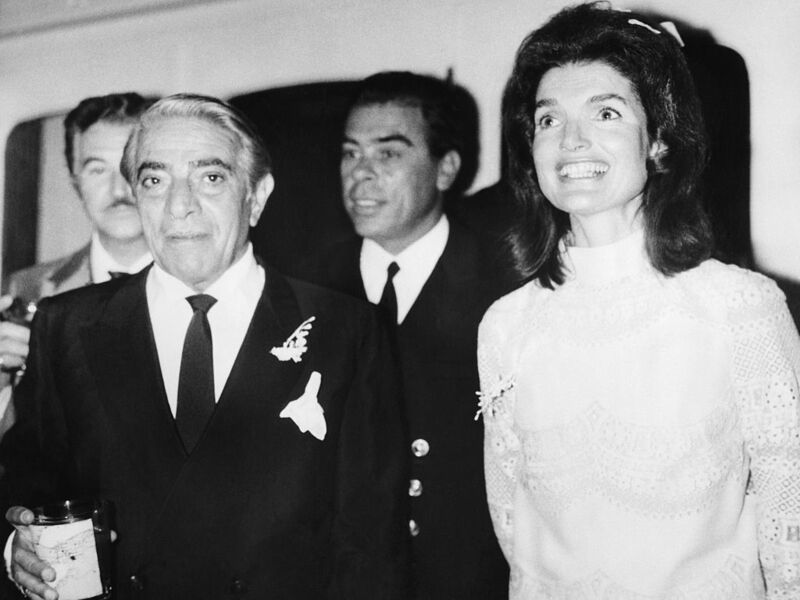 One photographer in particular hounded her, but Onassis took solace in her work and continued to attend public functions. Her fear of politics had also subsided, and she began to attend rallies of those she supported. By the 90s, Jackie was still enjoying her life. She was well taken care of after Onassis’ death and was still a celebrated public figure. In November of 1993, Jackie had a fall from a horse. A swollen lymph node was found in her groin, but initially dismissed as an infection. The diagnosis of non-Hodgkin lymphoma was made a month later, but the prognosis seemed good. Sadly, things took a turn for the worse and by March the cancer was in her brain, spinal cord and liver. The day after returning from a stay at New York Hospital-Cornell Medical Center, the former First Lady died in her sleep at 64 years old. In her later years, Jackie had been an avid supporter of Bill Clinton. She campaigned on his behalf, and when he won, supported Hilary by giving her advice. Mrs. Clinton thanked her in her first autobiography. Bill payed homage to his late friend by delivering the eulogy. Jackie’s funeral was held at the Church of St. Ignatius Loyola, just a short distance from her NYC apartment. Incidentally, it was the same church that she had taken confirmation at as a teen. After the service, Jackie was buried alongside her first husband and their two children, Patrick and Arabella. She was survived by her sister and her three children. Despite being worth a cool $42 million dollars when she passed away, Jackie didn’t make provisions for the sister who gave up everything so she would be safe. Although she left $500,000 to each of Lee’s children, she wrote that she wouldn’t leave her sister anything. The will states Jackie had “great affection” for Lee, but wouldn’t provide for her as she had done so throughout her life. 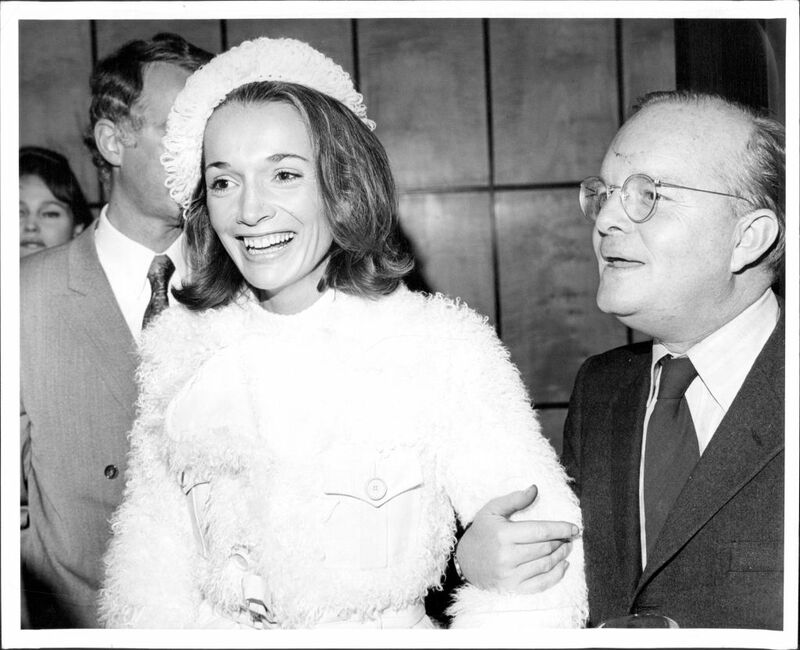 In her later years, Lee Radziwill, who passed away in February of 2019, struggled with her finances. 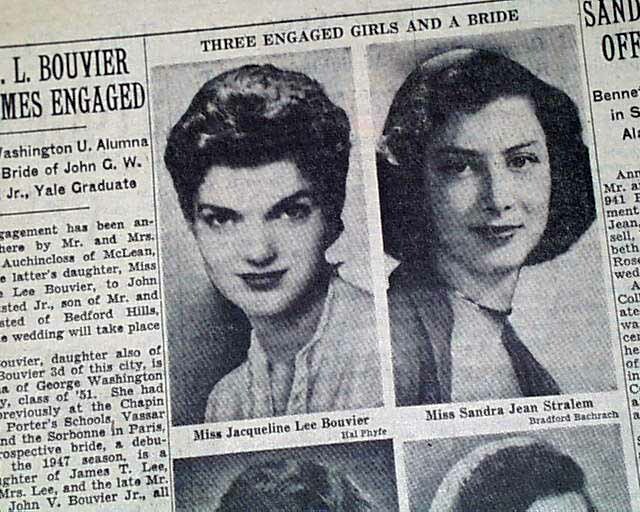 Many speculated that her late sister could’ve elevated the burden – after all, Jackie inherited the majority of her fortune from the husband Lee let her have. 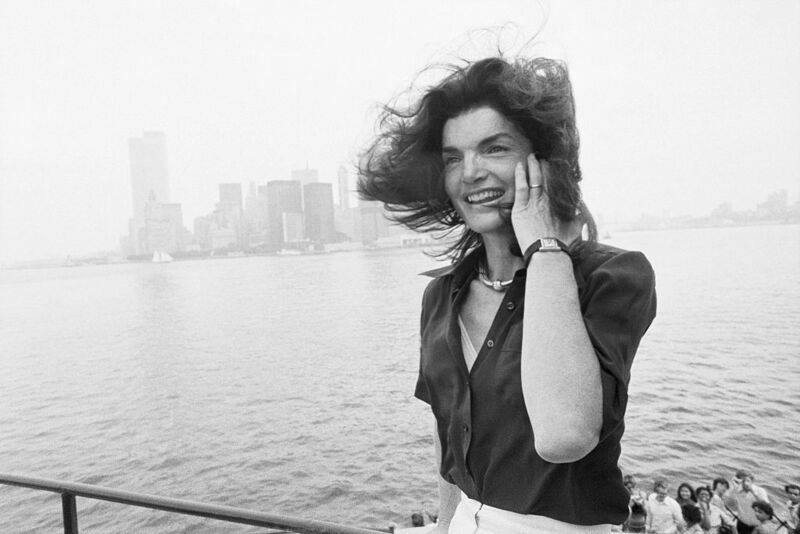 Despite passing away almost three decades ago, Jackie O has remained an icon. She is still admired for incredible style (in 1961 she spent almost $150,000 on fashion), her poise and grace throughout the tragedies she endured, and the adjustments she made to the White House.